One of the greatest pairs to take to the screen, C3P0 and R2-D2 were the perfect example of a loyal friendship. 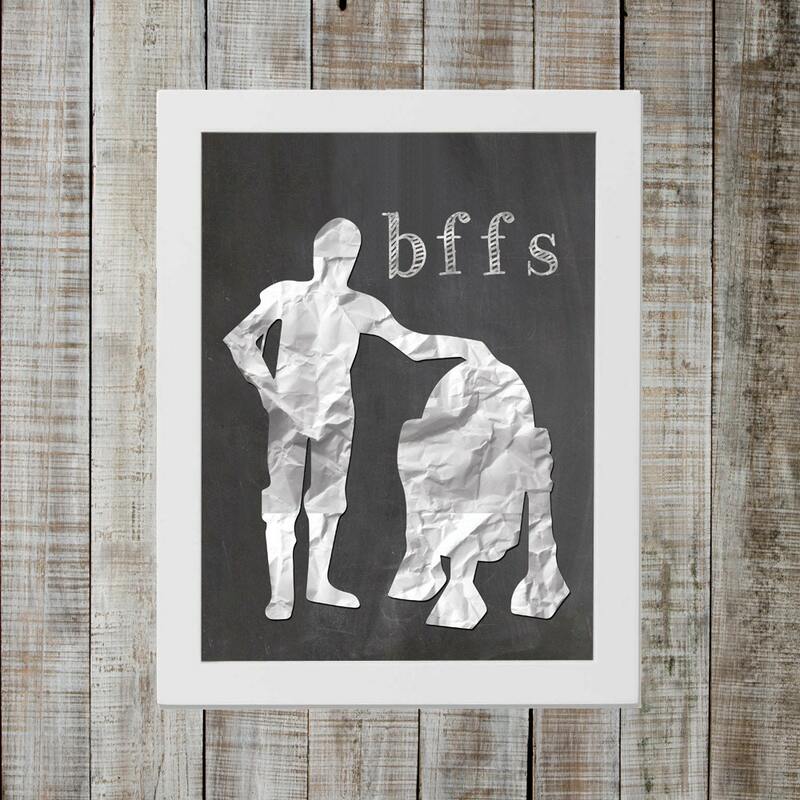 Celebrate the world's favorite BFFs with this quirky print. Resembling a chalkboard and paper cutout, this design looks good in any environment. It makes a great gift, or better yet, get two and keep one for yourself.